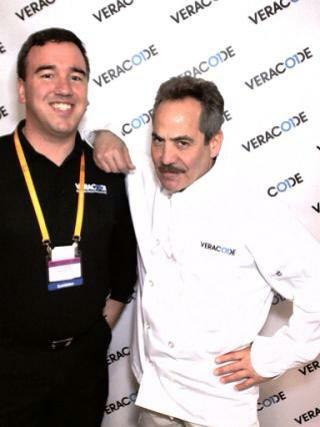 Grammy Award winning product guy for Veracode, building the most powerful application security platform in the world. Has a Bacon Number of 3. Most of this is self explanatory, as I’ve written about the Grammy and my employer before. But what the heck is a Bacon number? Turns out, it’s an established measurement of celebrity that even has a (portion of) a Wikipedia article about it. The “Bacon number” of an individual is the number of degrees of separation he or she has from Kevin Bacon, where a degree of separation is usually understood as “has worked with.” You can use the Oracle of Bacon, online at the University of Virginia since the mid-1990s, to determine an individual’s Bacon number. As for mine: I can justify it two ways. One is via former Boston Symphony Orchestra music director James Levine, with whom I share a few recording credits (including the Grammy), and who has a Bacon number of 2. The second, and funnier, one is via the Soup Nazi, the Seinfeld character created by Larry Thomas. Larry Thomas has a Bacon number of 2, also, and he and I shared billing in Veracode’s trade show booth at RSA in 2013, when I spoke in the booth about application security. So there you go. The author with Larry Thomas, Seinfeld’s Soup Nazi, in 2013.